Zayo Group announced it plans to separate into two publicly traded companies: one to focus on providing core communications infrastructure and another to leverage infrastructure to provide solutions for a broad set of enterprise customers. Zayo Infrastructure, “InfraCo,” will be comprised of the current Fiber Solutions and zColo business segments, along with the Wavelength and IP Transit businesses of Zayo’s current Transport segment. It will own and operate Zayo’s Tier One IP backbone as well as the Media Networks platform that serves its strategic video customers. 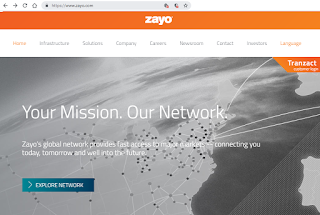 Zayo’s 130,000-mile network in North America and Europe includes extensive metro connectivity to thousands of buildings and data centers. Dan Caruso, Zayo’s chairman and chief executive officer, will lead InfraCo. EnterpriseCo will be comprised of the current Enterprise Networks and Allstream segments, along with the SONET and Ethernet businesses of Zayo’s current Transport segment. A long-term relationship with InfraCo will provide certainty on network access and cost. EnterpriseCo will consist of two business units, an Enterprise Division and a Carrier Division. The Enterprise Division will focus on the direct-to-enterprise business and will include solutions centered on SD-WAN, IP VPN, and Unified Communications. This division will provide high-bandwidth solutions to a large, well-diversified customer base that includes over 50,000 enterprises. The Carrier Division will focus on wholesale services to carriers which enable them to serve their enterprise customers, including Carrier Ethernet, Wholesale Voice, and SONET. EnterpriseCo will be led by newly named COO Mike Strople, current president of Zayo’s Allstream Segment, and Tyler Coates, SVP of Zayo’s existing Enterprise Segment. 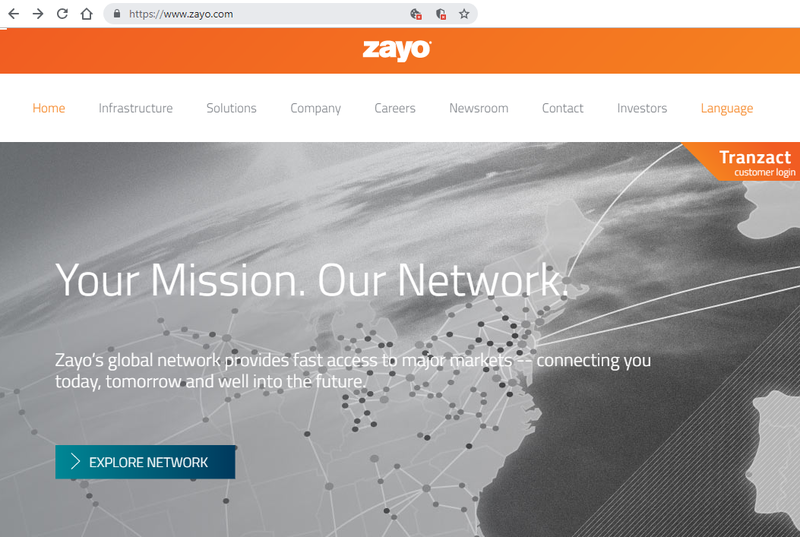 Separately, Zayo reported consolidated revenue of $641.1 million for its first quarter of 2019, ended 30-September-2018, including $536.1 million from the Communications Infrastructure segments and $105.0 million from the Allstream segment. Net income was $22.1 million, including $25.5 million from the Communications Infrastructure segments and a net loss of $3.4 million from the Allstream segment.